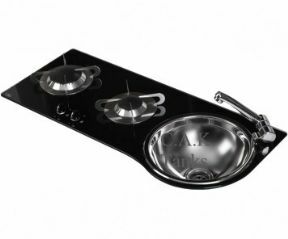 Can Crystal Glass Combination Unit 2 burner gas hob complete with stainless sink integrated into glass top combination unit. 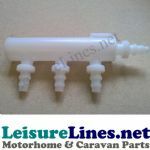 Stylish design for Campers, Marine and Luxury Motorhomes. New stylish glass surface cooktop made with tempered anti scratch glass with inset stainless steel sink. Tap hole 27mm for single lever mixer tap TAP NOT INCLUDED. 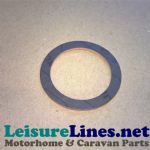 Sizes 785mm x 315/355mm x height 47mm above 120mm below.